Katrina vanden Heuvel: Withdrawal from the INF – Trump is pushing the world closer to nuclear peril – Détente now! 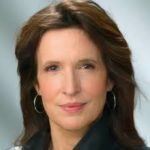 On the occasion of President Trump’s statement to terminate the INF treaty, Katrina vanden Heuvel, editor and publisher of The Nation magazine, wrote the following column which was published 30 October 2018 by the Washington Post. I have called my daughter, Nika, a “perestroika baby.” She was conceived in Russia during that earthshaking period when, under the radical tenure of Soviet leader Mikhail Gorbachev, the country began to open up and the Cold War began to thaw. Nika was born just a few years after Gorbachev and President Ronald Reagan signed the 1987 Intermediate-range Nuclear Forces (INF) Treaty, one of the world’s most important nuclear arms accords. The risk, and the militarization of relations, have increased over past years and administrations. As Stephen Cohen, professor emeritus of Russian studies and politics at New York University and Princeton University (disclosure: he is also my spouse), recently pointed out for the Nation, Bill Clinton expanded NATO farther and farther east toward Russia’s borders, and Bush unilaterally withdrew from the 1972 Anti-Ballistic Missile Treaty. In that way, Trump’s action is simply the latest in a line of American provocations that have led Russia to violate the treaty. However, these violations, disputed by Russians, alone “would not by itself be a compelling argument for withdrawal,” according to former defense official and INF critic Elbridge Colby. Regardless, Trump’s raw aggression sets him apart from his predecessors. Last year, I argued that “Trump’s decision to decertify the Iran nuclear deal recklessly imperils the landmark agreement and our security.” Since then, it has only worsened as he pushes the world ever closer to nuclear peril. At least partly because of his policies, the Bulletin of the Atomic Scientists’ Doomsday Clock is now set to two minutes to midnight, tied for the highest threat of nuclear war ever recorded. Members of Congress, too, must take action to reduce the risk of nuclear war. Several are. Back in January 2017, Sen. Edward J. Markey (D-Mass.) and Rep. Ted Lieu (D-Calif.) introduced a bill “that would prevent the president from launching a nuclear first strike without a congressional declaration of war . . . legislation meant to pry the nuclear football out of the president’s hands,” as Emily Tamkin put it in Foreign Policy. That kind of thinking and leadership is needed now, more than ever. In 2002, as editor of the Nation, I had the honor to be presented with the Global Green USA award by Gorbachev. In accepting, I said, “From the moment [Gorbachev] came to power, he insisted that there are always alternatives in history and politics . . . alternatives that are better than the status quo.” It is not too late to end this dangerous status quo. Let’s demand a better future, one that is free from nuclear weapons. Read more from Katrina vanden Heuvel’s archive or follow her on Twitter. We thank the author for the kind permission to translate and republish her article at our homepage. Katrina vanden Heuvel, editor and publisher of The Nation magazine, writes a weekly column for The Post. She has also edited or co-edited several books, including “The Change I Believe In: Fighting for Progress in the Age of Obama” (2011) and “Meltdown: How Greed and Corruption Shattered Our Financial System and How We Can Recover” (2009).